Kodachrome transparency by Howard Hollem. August 1942. 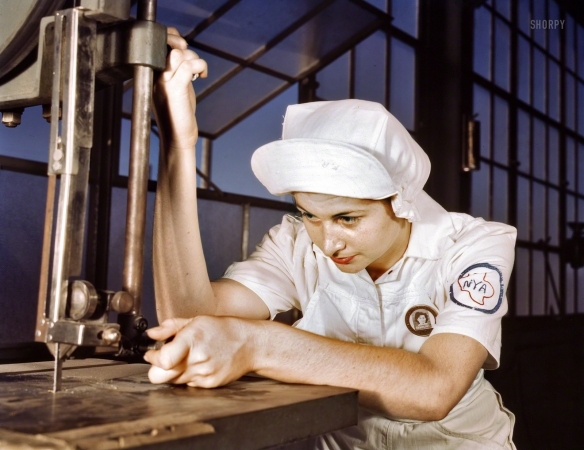 "Mildred Webb, a National Youth Administration trainee at the Naval Air Base, Corpus Christi, Texas."